I had only known by information on the telephone that my four-great grandparents had belonged to and attended Hay Street Methodist Church during the 1820-1850's time period, which was information I had found astounding, considering they owned a large farm on the Rocky River bordering Stanly and Anson Counties in North Carolina and the church is located in Fayetteville, North Carolina, some 93 miles away. Its a two plus hour drive today. What a trip it must have been in horse and buggy days. 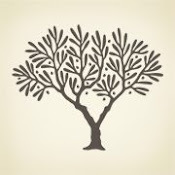 I did not discover that they had purchased a home there until I began researching Jordan and John W Howell who had moved there after reaching adulthood. John and Jordan were two of Sarah's children by her first marriage to Richard Howell and half-brothers of my third great grandfather, Henry Davis. 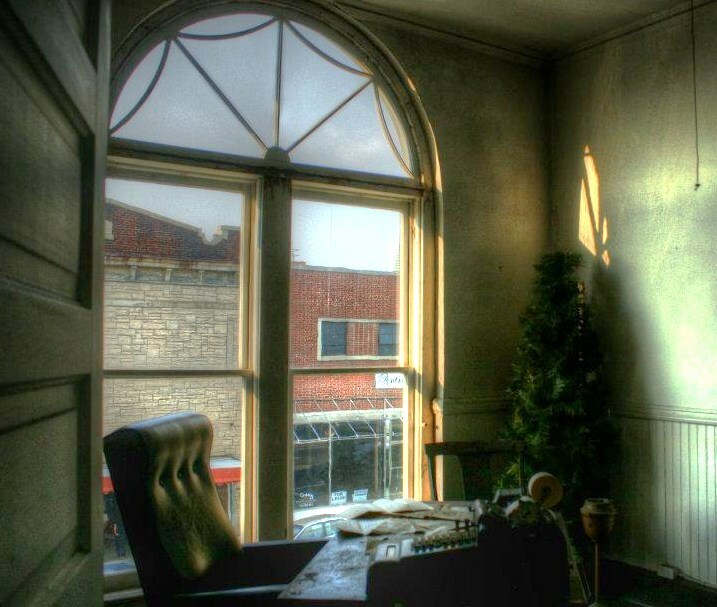 When I discovered deeds regarding Job Davis, the hairs stood up on the back of my neck. Could it be the same Job Davis? When I saw that Jordan Howell witnessed the purchase and that later, when it was sold, it was to John W Howell, I knew it WAS my Job Davis. He was 71 when he sold it, so the every summer trip must have gotten to be too much for the patriarch. The property was described as being on Hay street and including a brick house near the base of HayMount Hill, near an alley and an orchard and at such and such distance from the church. When I found out the church was Methodist, I thought they may have attended, and when I found out it still existed, I was overjoyed. 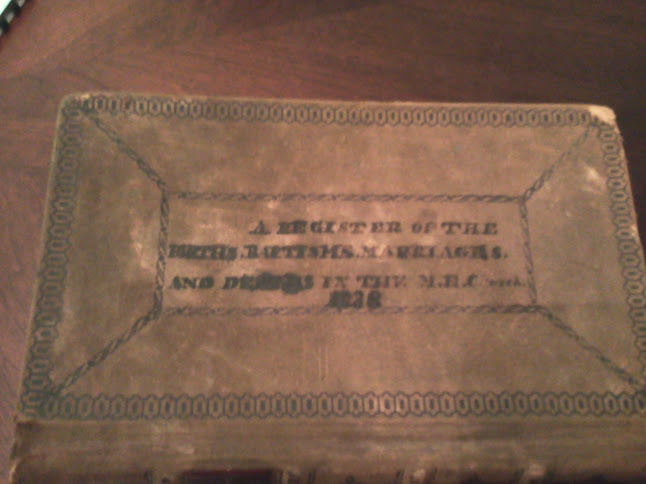 I had recieved a return call three weeks after my first inquiry stating that the names of my ancestors had indeed been found in the old records of the church. While the Howells and their children attended year round, it seemed tbe Davis's only visited in summer. Then I remembered in reading stories of Old Charleston and Savannah of how planters from miles down the rivers would also maintain a house in town. Where the term 'townhouse' came into play. They escaped the summer mosquitos and disease they brought that were thicker near rivers and creeks where crops were raised. Was Cross Creek/ Fayetteville Job's Charleston? 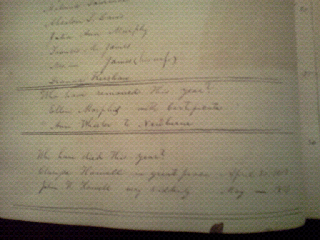 At the bottom of the page it states: "Who has died this year? Clarrissa Howell in great pain April 16, 1853. 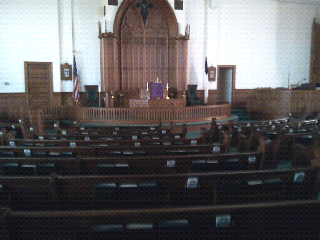 John W Howell very suddenly May - 1853"
On my recent trip to Fayetteville, the church was my first stop. The first lady I came to knew of no such archives, but I knew I had talked to someone on the phone who told me they did exist. That is when I was directed to Dr. Alice Smith, Director of Lay Ministry. Dr. Smith has been with the church a very long time and was kind enough to take me through the sanctuary, into the office of archives. 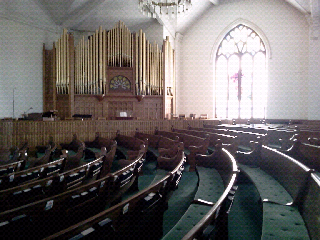 The older sanctuary was elegant and commanding. An enormous and beautiful pipe organ lined the western wall. Sun beamed through exquisite stained glass windows. The office was off to the back and contained a couple of glass cases. Inside the cases were a number of books, some with dates in the 1920's and 1940's. It was the oldest ones I was interested in. I held the books with care and reverence, almost afraid to touch them. It did not take long, turning the browning pages, to find a familiar name. 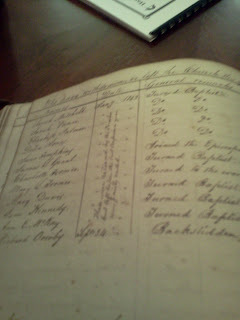 I came across some baptisms: Charlotte Winfield Howell July 10, 1827 by Sam Dunwoody born Jany 19 1823. This was the recording of the baptism of the oldest daughter of Jordon Howell and his wife Mary. Charlotte's birth year had been estimated at 1822, in census records. Now I had the exact date. 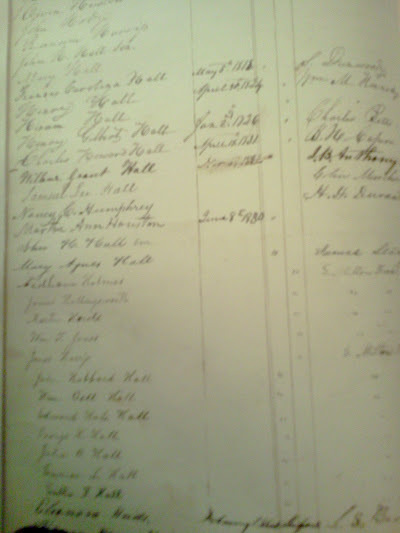 There were lists of Official Members for each year. 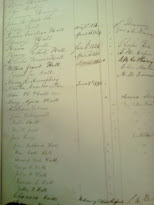 There were lists of who attended each class. I am assumed the 'class' was a bible study class or a Sunday School Class. John H Pearce held the office of Local Elder for awhile. 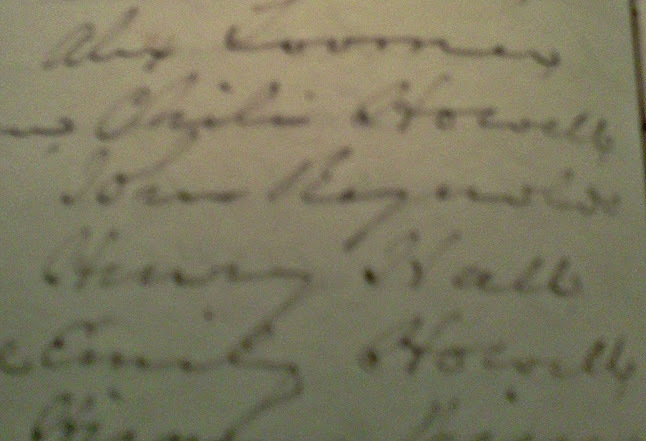 John Howell joined the church on February 25th, 1840 by letter. John Howell was in Class number 6, Clarrissa Howell was in class number 10. There were other Howell names that gives me something to research into, perhaps the missing children the Howell brothers whose names I have not yet discovered. 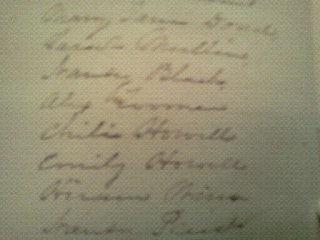 These are two Howells listed I have not came across, near the bottom, Emily Howell, but 3 names above hers, it appears to be "Chili" Howell. 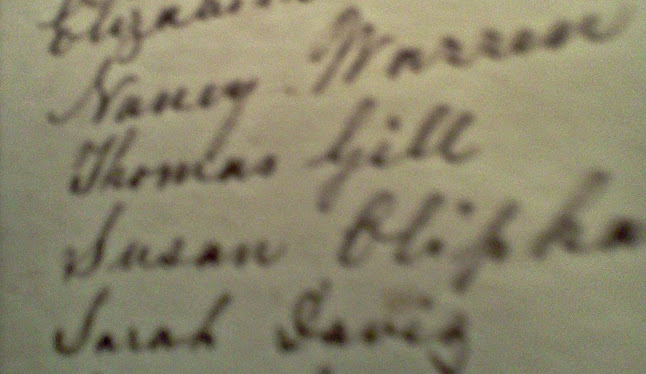 I am sure it is not Chili Howell, but I can not make out the first name. 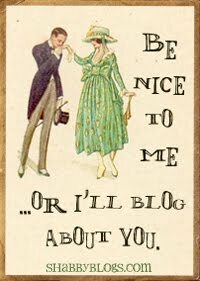 I even discovered, oh my, how horrible....that a few members of the younger generation....had turned Baptist. 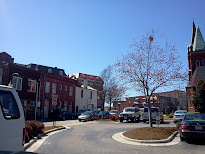 Old Street, across from the Church. 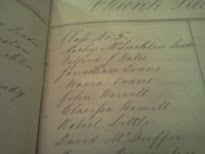 At the bottom of the roll, Sarah Davis, my Great, Great, Great, Great Grandmother. I was only able to examine the velvety old books and make unclear photos with my tablet, but being able to see the names of ancestors among those fragile old pages, was worth the trip, if I had discovered nothing else. 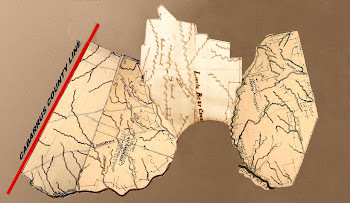 How my ancestors would make that nearly 100 mile trek every year on dirt roads full of pot holes and unseen conditions, I do not know, but they did. 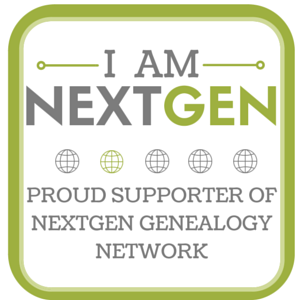 People who only research straight up their family tree are missing so much. You never know what you might find if you also research the whereabouts and comings and goings of their siblings. 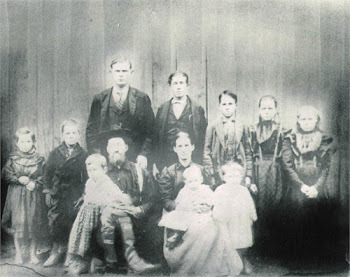 If I had not started researching the step-siblings of my direct ancestor, Job's oldest son Henry, I would have never known that his parents, my 4 Great-Grandparents, had owned property and attended church services in the town of Fayetteville. I would have had no reason to look for them there. Looking into the entire family gives you a fuller picture of who you family was, how they lived, where they lived and who you are yourself. A good impression starts with the greeters at the front door who welcome visitors with a smile and handshake and ushers inside who provide clear directions on where to sit. become ordained online Even if you don't have enough people to handle these tasks individually, the important thing is to make newcomers feel welcome and not lost.